At VMworld VMware introduced ‘VMware Validated Designs’ a set of blueprints which helps customers to design and implement Software defined datacenters using VMware technology. VMware Validated Designs are architectures created and validated by VMware experts, encompassing the entire product stack used in VMware’s Software-Defined Data Center. These designs provide standardized and streamlined architectures for each deployment scenario and broad use-case, for example: Datacenter Foundation, Single-region & Dual-region IT Automation, QE / Demo Cloud and more. These designs are being made available to you via customer facing documentation, VMware Professional Services (PSO) delivery kits and certified partner architectures. The Validated Design can be seen as a proven fundation for your SDDC. This blog at edge-cloud.net has a great analogy. 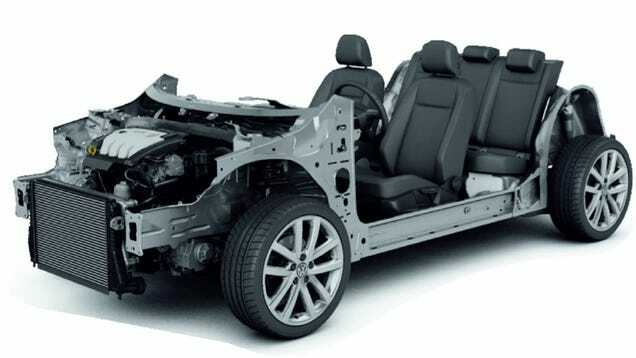 It mentions the Volkswagen’s MQB car platform (chassis) which is used as a base for many different car brands part of the Volkswagen group (VW, Audi, Skoda, Seat). Engineers of Skoda do not have to reinvent the wheel first by designing a car base. The pick the Volkswagen MQB and start from there. Here is a short introduction video of VMware Validated Designs. VMware at August 30 released a number of resources being made available the customers. These include two reference architectures and two sets of deployment walkthroughs. The first reference architecture, Data Center Foundation, serves as the foundation for the SDDC, all SDDC architectures build off of the foundation architecture. The second reference architecture, the Single-Region IT Automation Cloud, focuses on enabling IT to rapidly respond to business requirements through automating the SDDC. In addition to the reference architecture there is an accompanying deployment walkthrough for foundation and single-region IT automation detailing how to build out the reference architecture. Faithless is VMworld Europe band!